In any given organization, the board of directors play a crucial role in ensuring the success of a company. This being the case, it is therefore very important to ensure that there are useful tools in place to ensure the smooth working of the organization. There are tools designed specifically for this role and today we are going to give you an insight of the top tools in this category. Board Management is a software that strives to ensure that your board of directors is able to reach their maximum potential. 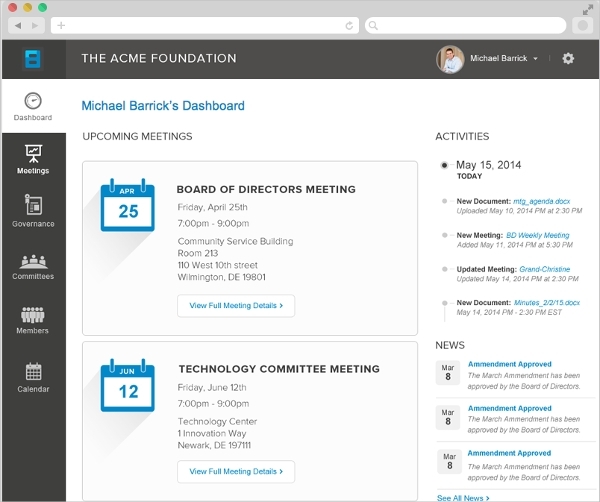 The tool comprises of an event calendar, board documents as well as the directories for the board members. It ensures effective communication and as a result, deliver the best results. Board Director is a management tool that seeks to aid the directors of an organization by streamlining the administrative duties and effective team communication. In doing so, the board is able to deliver more through improved collaboration. 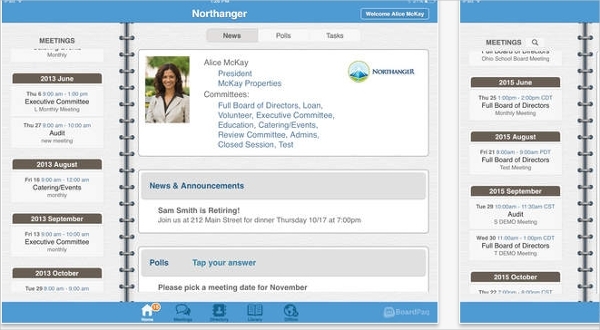 The tool also makes it easy to schedule board meeting and other events. Aprio- Board Meeting Software ensures that the organization is steering towards the appropriate position through effective collaboration among board members. With this, the board members can be prepared and informed. The security of the data transmitted is assured, and it allows board members to work on both desktop and tablet devices. 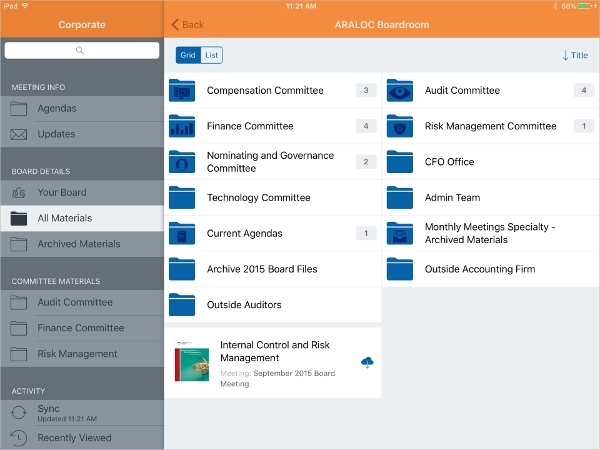 ARALOC- Board Management Software offers a great way to which you will be in a position to distribute materials to your board members. The process is very safe, and the materials can be distributed to various machines. It comes with an agenda builder, board roster and multi-board and committee management function. In the majority of the cases, the tools available for the purposes of board management are cross platform. This is usually desirable because in failure to this element, one will have to make the members of the board compromise on the choice of device to use. In the majority of the cases, a web based and secure platform is preferred. 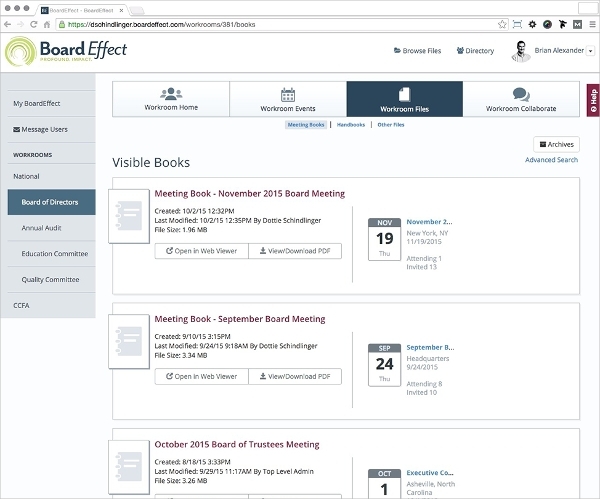 Board Effect is a software for the management of board directors. The software is easy to use, very safe, and mobile like no other. With all these aspects, it is thus reliable and will definitely increase the productivity of the team. With the use of this tool, success can be assured. 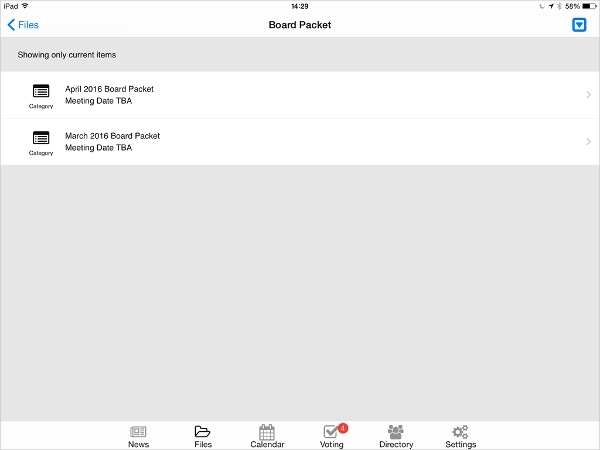 BoardPaq is a board management tool that is designed for the Mac platform and it supports iPads. With the tool, the board of directors is able to serve the organization in a better and organized manner. It is very safe and convenient to use and is one of the leading tools available in the market. BoardPacket is the tool that almost every leading organization is talking about and one with a great following. The tool is simple to use and thus convenient to every board member, extremely safe with high-end encryption of data, and comes with a great deal of affordability to ensure you get the best value. 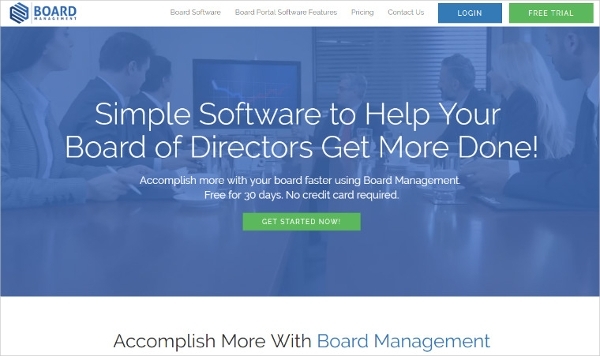 What is a Board Management Software? A board management software is a tool that seeks to offer services that will streamline the operations of the board. The means through which they are able to deliver their mandate may change, but they all surround being in a position to offer collaboration, security of data, and ease of use. With the ability to offer the above, the communication between members increases and thus enabling them serve the company even better. This helps to make the organization more productive and profitable. With the appropriate selection of these tools, the board can be sure that they work better and achieve a high level of efficiency.